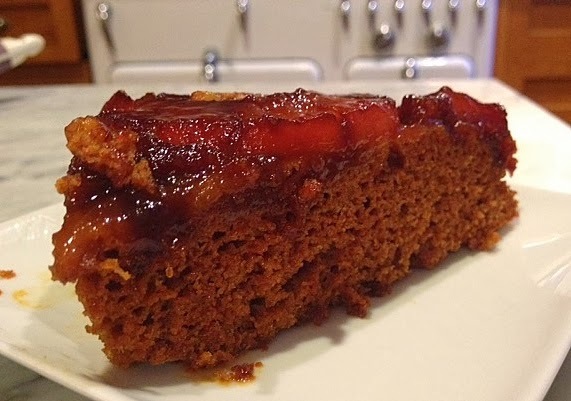 Unable to bear yet another dreary, white-sky cold winter day (and jetting to St. Barts was not an option), I baked up the best defense -- Gingerbread Upside Down Cake, a perfect blend of seasonal (gingerbread) and tropical (pineapple). This cake is easy, delicious and unusual. 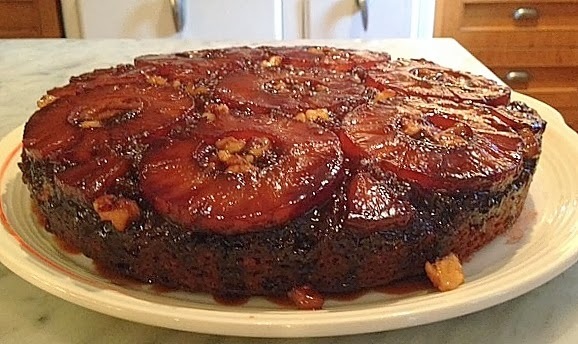 It's a pineapple upside down cake made with gingerbread in place of the dessert's traditional yellow cake. 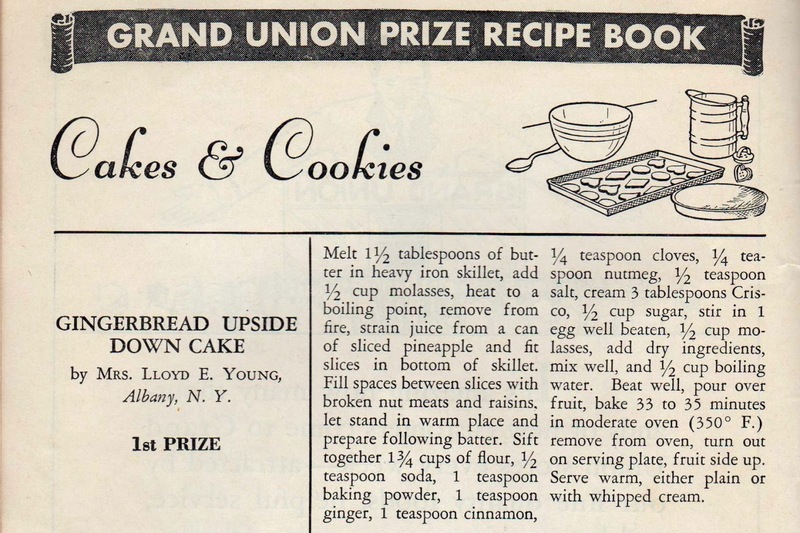 I'm not the only one to like this recipe: Mrs. Lloyd E. Young, of Albany,New York, was awarded the $100 first prize in a 1931 contest cooked up by Grand Union. 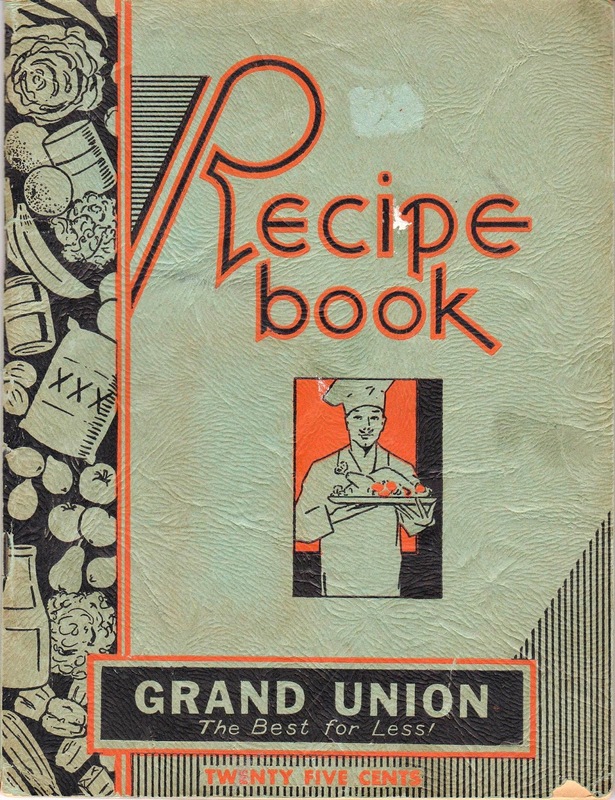 It, along with 28 other prize winning recipes, was published by the supermarket chain on the occasion of its 59th birthday. 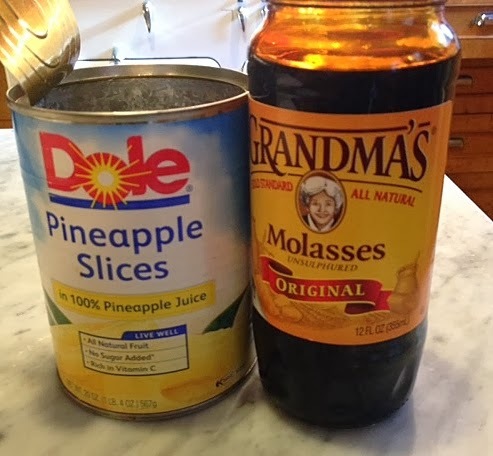 This cake starts with a trip to the supermarket where one can purchase canned pineapple and molasses today, just like Mrs. Lloyd did in 1931. 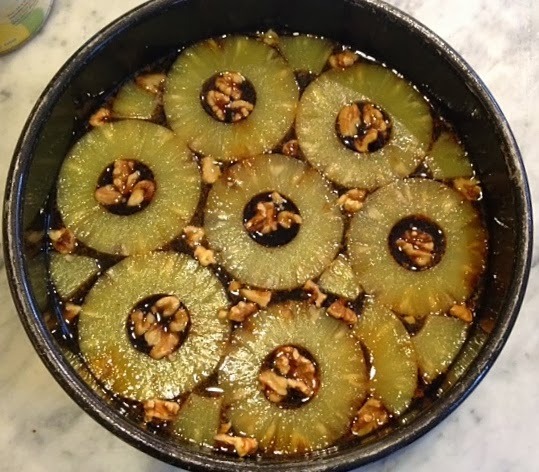 Pineapple slices (with some walnut "filler") are placed atop the butter-molasses mixture. The cake batter at the outset. 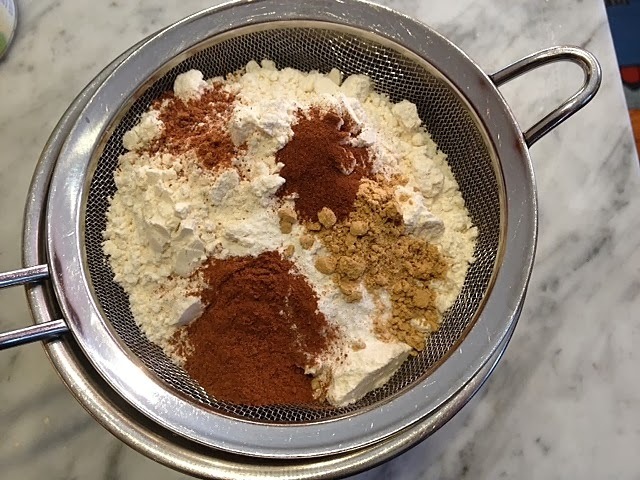 The dry ingredients before sifting through a sieve. 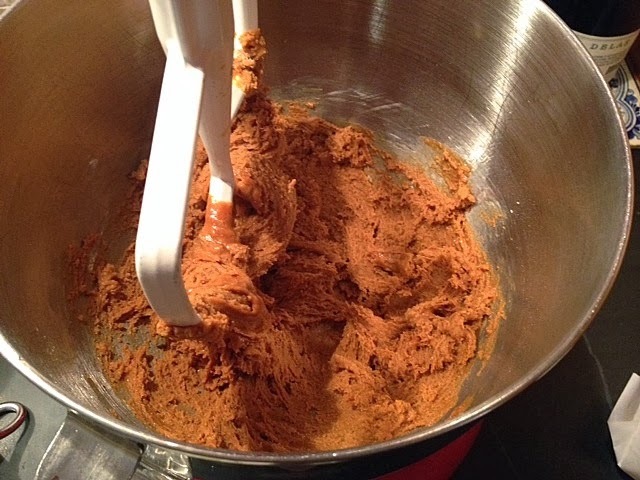 The batter will be quite stiff (below) but will smooth out once the boiling water is added. Pour or spoon the batter carefully over the pineapple slices. 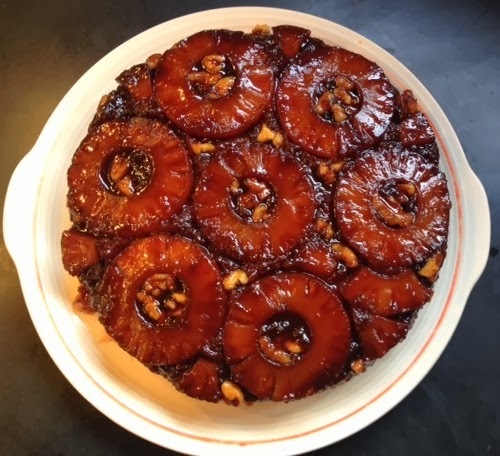 The pan is flipped over, revealing the dessert's tropical soul. Below is the recipe as it was published and, below that, is my 21st-century interpretation. The original recipe is a bit difficult to follow, what with the ingredients and method all combined in one really long paragraph. Place pineapple slices on top of butter-molasses mixture. Fill in the spaces with smaller pieces of pineapple, pieces of walnut and/or raisins. 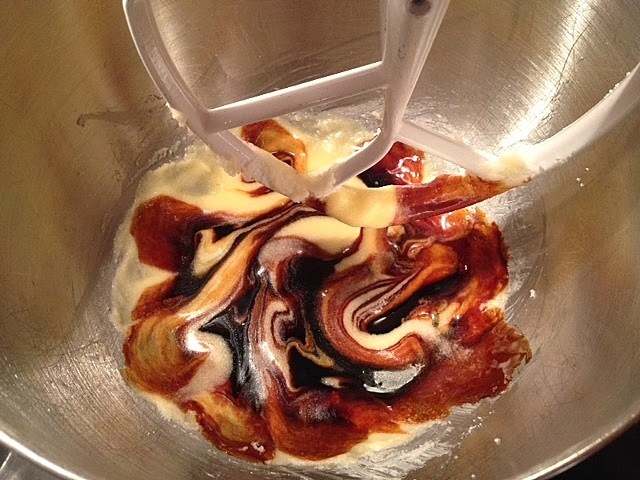 Cream butter, add sugar and molasses. Add egg and beat. Combine all dry ingredients in a separate bowl, and add. Mix thoroughly and add boiling water. Spoon/pour batter over the pineapple slices. 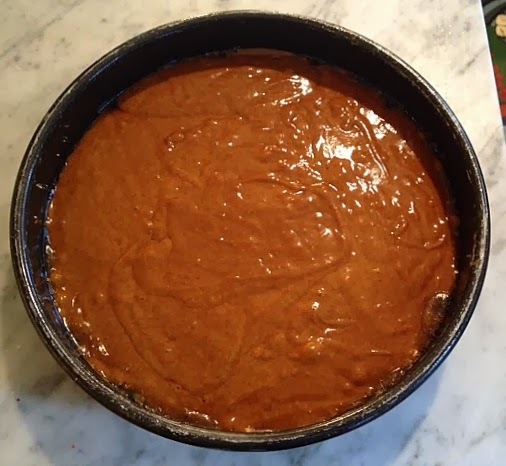 Remove from oven and place cake dish over pan. Flip and let cool slightly. This cake looks so yummy, I pinned it and will be making it soon. Wonderful. It got raves from my fearless tasters -- my work colleagues. One even said it was the best baked good I'd ever brought in -- and I've shared a lot of baked goods at work! I am making this now for this snowy Ohio day. I am using apple rings and orange zest in place of the pineapple. This is due to the fact that these Granny Smith apples need used. I hope the orange zest brightens the apples. 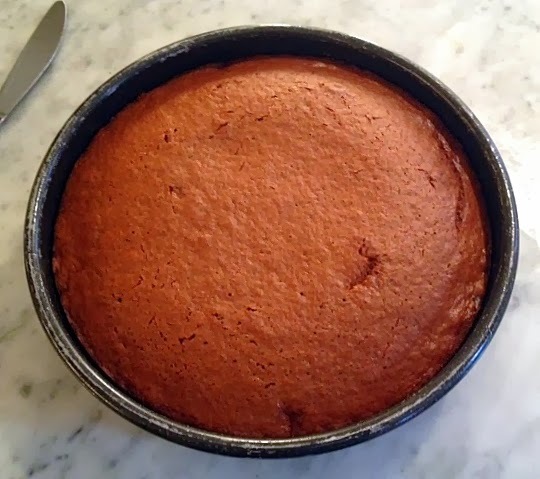 While I love molasses it is your photos that convinced me to make this cake. The coffee is brewing! I am pleased to report that the apples worked great and held their shape just fine.I sliced them about 1/4 inch thick. 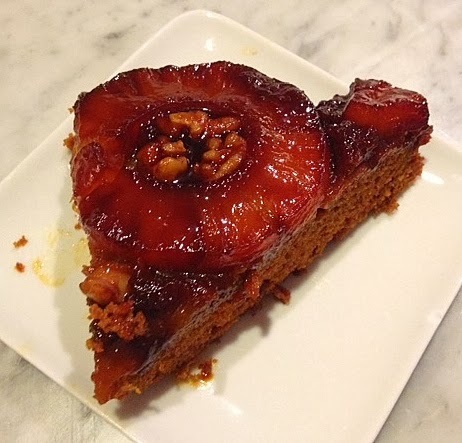 I can tell that the pineapple would be more intense in flavor which I would like very much.For me the true star is the caramel rim that forms to the outside. I loved that. Thanks for all these treasures you find. Wonderful news, Penny. I'm allergic to pineapple, so I'll definitely try your new version. Made this on Saturday and it turned out well...particularly the gingerbread. Not sure I'd use the molasses for the bottom....probably would switch back to the brown sugar/butter for the delicious "goo." Glad to hear it turned out well. And agreed, the molasses can be a bit assertive, compared to the heaven created by brown sugar and butter.